The Medtronic MiniMed Sure-T infusion set with a 29 gauge, 8mm straight steel needle is designed to provide you with the most comfort ever. Additional disconnection site 10 cm away from the infusion site to prevent accidental dislodging. The Sure-T infusion set is secure, simple and ideal for infants, children, pregnant women or people allergic to Teflon. The Sure-T infusion set is ideal for people who have had reactions to soft cannulas or who have not had success with soft cannulas. 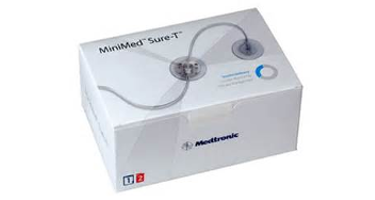 The Sure-T infusion set is only compatible with a Medtronic MiniMed Paradigm Pump.